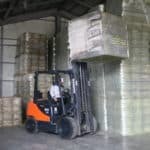 Before you purchase a forklift, then you should think about a few things before you make a final decision. There are conditions that can help you select the perfect one that will meet and exceed all your needs. Environment: Figuring out the environment that you will use this equipment before you purchase one will ensure that you get the correct one. Will it be for indoor and outdoor usage? Will the surface be flat and smooth? Make out a checklist of your environment and usage before you select your equipment. 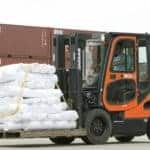 Cargo Size: Determine the cargo size and the type of cargo that you have so you can select the right lift to meet your needs. There are different equipment and machinery that meets different weight sizes. Knowing approximately the weight of your items and cargo will assist in knowing which one will meet your needs. 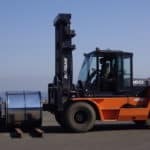 Height: Having the lifting height that your cargo will be stored will assist you in purchasing the right machinery. 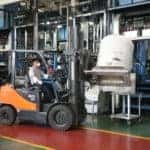 Some lifts are able to fit in tight small spaces, but can lift cargo to higher locations. Does this fit your space? Figure out the space and height of your cargo. Usage: Will you need a machinery for multiple shifts or just a few hours a day? You want the lift you purchase to stand up to the time that you need to have it used.